The world is now eagerly waiting for the much hyped Galaxy Note 4 phablet to be introduced in the market. Bits of news concerning this device have already started surfacing showing that this device is not far away from launching. Smartphone lovers will tell you that this is the ultimate smartphone you can get in the world upon its release later this year. Rumor has it that it will come with new technology that has not been used in any smartphone ever before. You can therefore rest assured that it will be a unique device worth checking out. Details emerging from within the giant tech company indicate that this much awaited device will be launched in September. In an interview with Korean Bloomberg, Samsung mobile Executive Vice President, Lee Young Hee indicated that this device will be released in the second half of the year. Though he didn’t give the exact month for the release, we can estimate the release month. By narrowing the time span He stated, we can calculate September to be the release month. There are reasons for this. One, Samsung is likely to maintain the tradition of letting their smartphone sell for one full year before the release of the next smartphone. 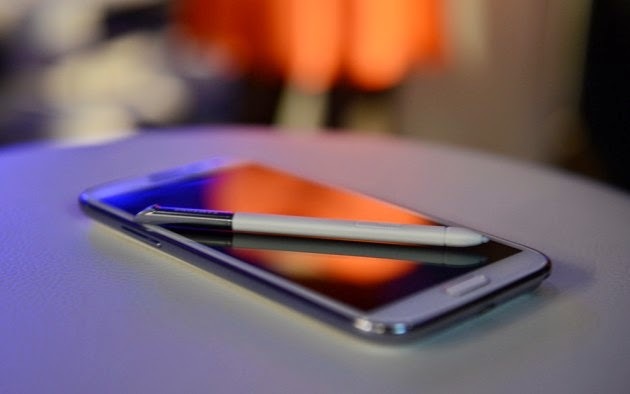 Last year in September at IFA stage in Germany, Samsung released the current number one phablet, Galaxy Note 3. It is thus expected that this year in September, Samsung may take the stage at IFA once again to unveil the Galaxy Note 4 phablet. Another reason is that Samsung is yet to release Samsung Galaxy S5. This other brand is expected in the market a while before the Galaxy Note 4 phablet. This is the reason that the giant tech company is concentrating on issuing info concerning the S5 smartphone. Samsung has always stuck to leaking info concerning the product that is next to be released and safeguarding info on a product not about to be released. It is expected that much news on this Note 4 phablet will be available in July as it nears release. One thing that is for sure to change is the design of the Galaxy Note 4 phablet. It is expected Samsung will use a metallic flagship on this device. This will see Samsung drop the plastic flagship that characterized all its previous smartphones. Galaxy Note 4 is expected to come with an advanced camera capability. It is reported that Samsung is developing a 16 MP camera complete with an OIS (Optical Image Stabilizer). This is expected to greatly boost the image quality of the smartphone. Rumor has it that we should expect a 64-bit processor in this device. This will be quite a powerful processor in the Note 4 phablet that will increase the speed of the smartphone. Galaxy Note 4 phablet is expected to be one device in its own class. Samsung is known for its high technology and it has dedicated to make this phablet a masterpiece.